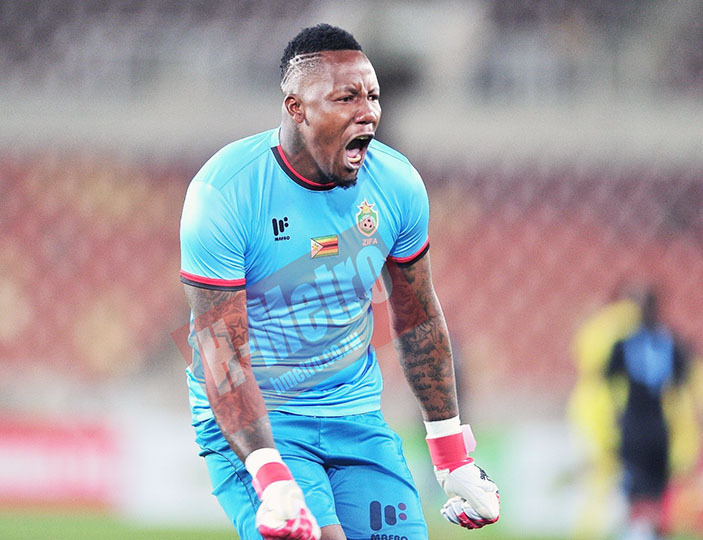 Warriors and Polokwane City goal-keeper George Chigova says there is no room for complacency when they face Congo-Brazzaville on March 24, at the National Sports Stadium.The Warriors are well set to win Group G if they prevail in their last AFCON qualifying game. The AFCON finals are being hosted by Egypt in June this year. Sunday Chidzambwa’s team leads the group with eight points followed by Liberia and DR Congo with seven and six respectively. Congo-Brazzaville have five points anchoring the group. Chigova has warned against complacency as the Warriors need at least a draw to secure their place in Egypt. “We have to have a positive mindset and prepare well for the game because Congo still have a chance to qualify as well so its going to be tough game. “I feel good now after the injury which i had in the first round of the season now I am fully fit. “And I’m happy with my form lately and i have to continue working hard,” he said. The former Dynamos keeper said he is happy with his form at Polokwane City after their recent draw against Sundowns on Tuesday. He urged Warriors fans to come in their numbers to support them at the National Sports Stadium. “So far its been okay for the team we are in the top eight so we are still on course for our target for this season, but we have to continue working hard. “As we play this crucial encounter, i want to encourage our fans to come in numbers and support us. “We really need the 12th man for us to reach our target of qualifying for AFCON,” he said.